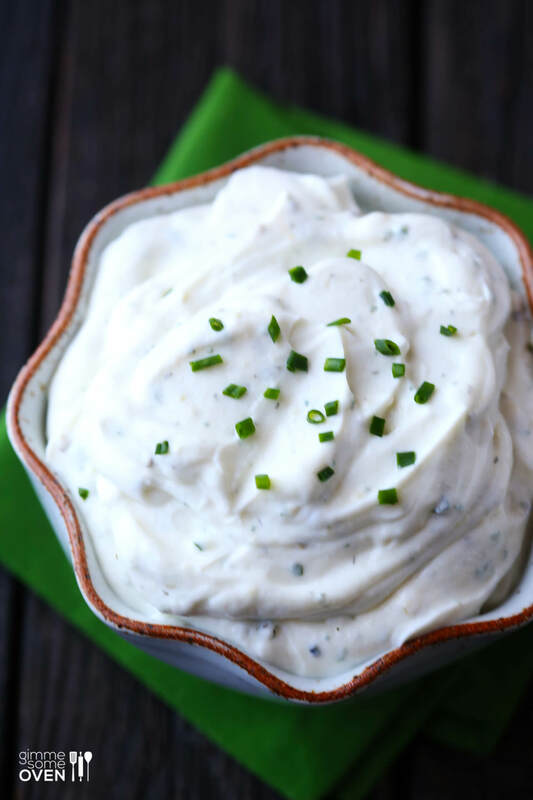 For the follow-up to yesterday’s post on Homemade Ranch Seasoning Mix, I thought it was only appropriate to share one of my favorite ways to use it — Skinny Greek Yogurt Ranch Dip! Yep. You can bid the days of heavy calorie-laden mayo dips goodbye, because this “skinny” version is much healthier but tastes just as good! And once you have the seasoning mix ready to go, it literally just takes a minute or two to stir together and you’re ready to go. My kind of dip. In addition to serving it with all of your favorite veggies, chips and other dippers, I also have a fun dinner recipe you can make with this dip coming tomorrow. So stay tuned!!! 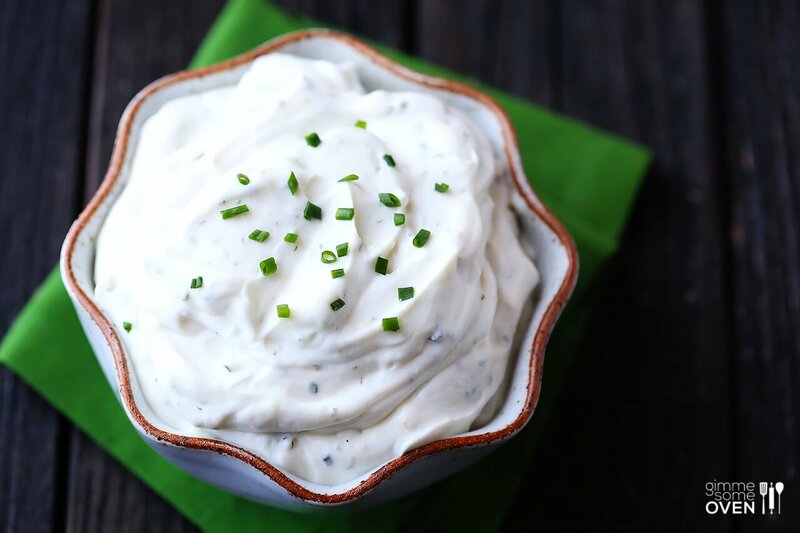 What are your favorite dippers for ranch dip? 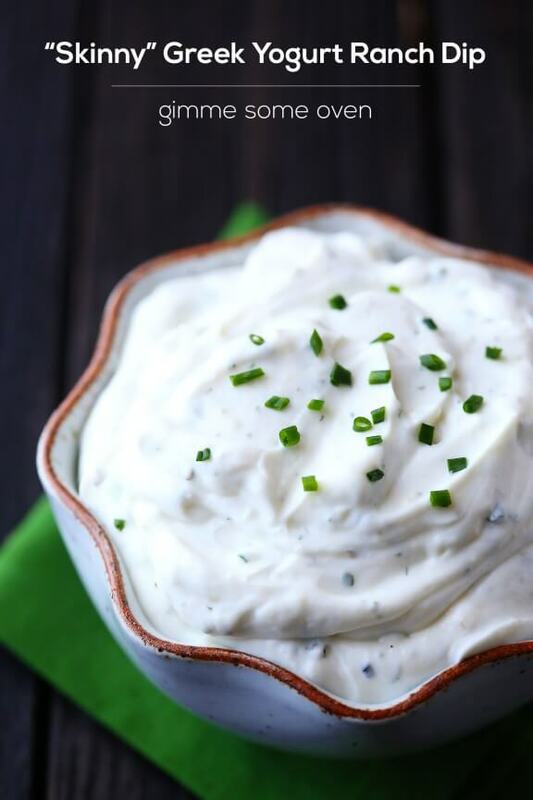 A quick and easy ranch dip that’s healthier for you! Whisk together ingredients in a small bowl until combined. Serve immediately, or refrigerate in an airtight container for up to 3 days (or until the yogurt’s expiration date). Yep…this pretty much needs to happen. YUM! We looooved this. So, so good! Love the sound of this skinny dip! easy, simple, and delicious sounding! can’t wait to try it! This will be happening this weekend! Love it! Love dips made with greek yogurt – this looks so rich and creamy and flavourful. I want to dip everything in it! i love dipping pita chips into ranch dip. :) Or baby carrots. I love making it with greek yogurt too. Especially for my dip vs “dipping vehicle” ratio….! I always COVER everything with dip. love dip. love love love! I love ranch dip! It’s really good with Ritz crackers, which sounds random I know but it’s super tasty! I also love it with baby carrots, broccoli, tomatoes, pita chips…om nom nom! So brilliant, and I love how EASY this is! I would slather it on everything! My favorite dippers are slices of fresh bell peppers. I love mixing the red, yellow, and orange on a platter with dips. I always have a tub of Greek yogurt sitting in the fridge so this here is just perfect! Using sun-dried tomatoes (not packed in oil) as dippers!!! 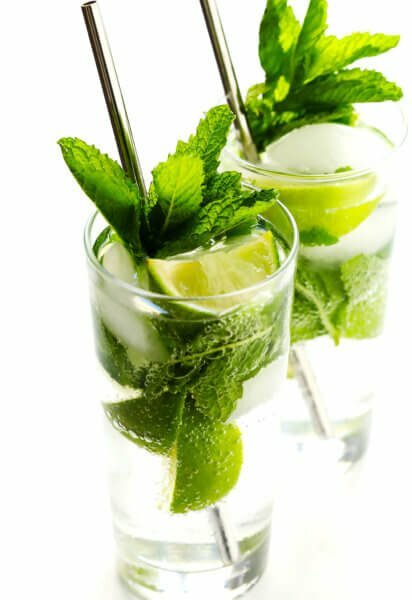 I made this recipe today, and it has a wonderful flavor. Used it on my zucchini fritters. Nice! Great recipe. 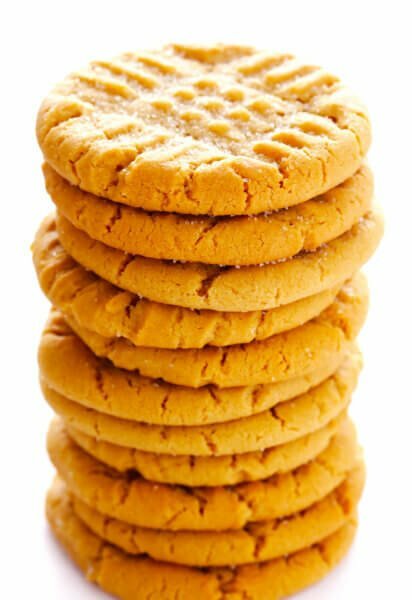 It is easy to make and delicious. Using the low fat yogurt also makes it a very healthy Greek Yogurt Dip! I made this for a work function to serve with raw vegis and it was delicious! 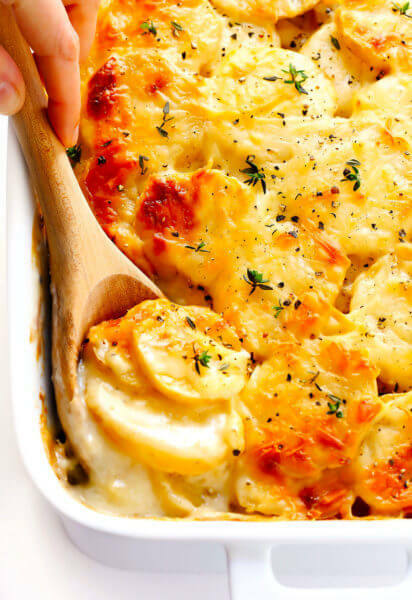 I had to make one modification because I didn’t have buttermilk or buttermilk powder, so I just added about 1/3-1/2 cup parmesan and it worked out really well!